There is something you can do. You may be able to revoke your purchase also. 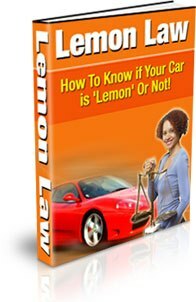 Find out what you can do with the 'How to Know if Your Car is a Lemon or Not'. This 28 page PDF ebook comes with Private Label Rights.